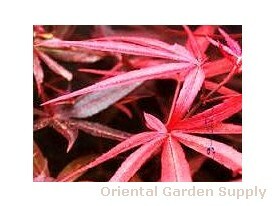 Product Information : Bamboo like appearance of the brilliant red spring foliage is exceptional. A tree with a nice full appearance that makes a statement in the landscape. Bronzing out a bit in the summer and a return to crimson in the fall.